We'd like to personally congratulate NSAI member, Suzie Zeldin, for having her song taken last night at our Online Pitch workshop! Suzie's song is titled "Make Your Own Happy," which is appropriately titled for her accomplishment! Thanks to Josh from Round Hill Music for listening to our member's songs and giving feedback! Click here for upcoming Online Pitch registration and event dates! NSAI member, Kalsey Kulyk recently premiered the music video for her third single, "Rewind" and was featured in Country Weekly! 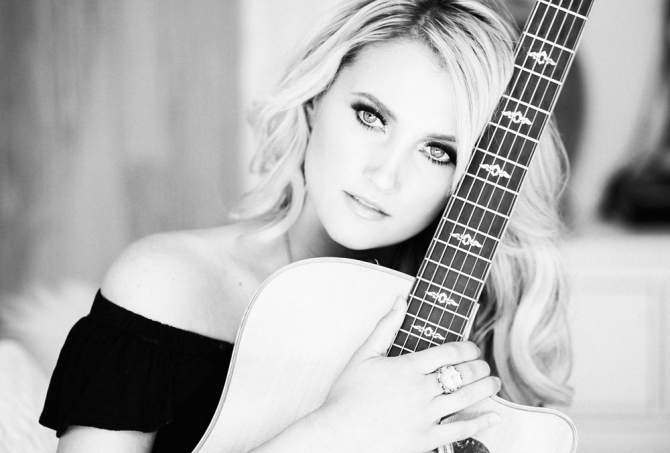 The Canadian singer/songwriter will release her EP later this year. Congrats Kalsey on your success and happy #FeatureFriday ! Bart, Jennifer and Shannon, along with Travis Carter (Warner/Chappell Music), Doug Johnson (songwriter and VP of A&R at Black River Records) and Lisa Johnson (Sweet Renegade Music) traveled to the Pacific Coast this past weekend for our LA/San Diego Chapter Event in Dana Point,CA. Doug and Bart both taught invaluable lessons and provided insight regarding craft, today’s market and how to stand out amongst the crowd. Travis, Doug and Lisa listened and gave constructive feedback to all attendees on one of their original songs during our afternoon Listening Session. August 1-31 “Recommended” Songs Considered for P2P Luncheon. Congratulations to the writers below who had songs recommended between August 1 and August 31 for consideration for our Publisher Luncheon. These were submitted to the Song Evaluation Service and were recommended by the NSAI Evaluators who reviewed them. The Nashville Songwriters Association International (NSAI) honored Nashville-associated writers whose songs topped the Billboard Airplay, Digital or Hot charts between April 2015 and July 2015 this past Monday. There were 83 songwriters and 20 songs recognized. The Maggie Cavender award was also presented to Jo Walker-Meador, Layng Martine, Jr. and the late Billy Block. Block’s wife, Jill Block, received the award on his behalf. This is the first time NSAI has presented three recipients with the Maggie Cavender Award within the same year. Congratulations to NSAI Member, Jackson Michelson on signing both record and publishing deals with Curb Music Publishing​! Michelson's team expresses that this success has been a "true family effort & total blessing to watch them all work together." Nashville, Tennessee- September 21, 2015. The U.S.
We had a packed house last night for our Pitch to Publisher event! Thanks to Jennifer Duke (Razor & Tie) for spending time with our members! 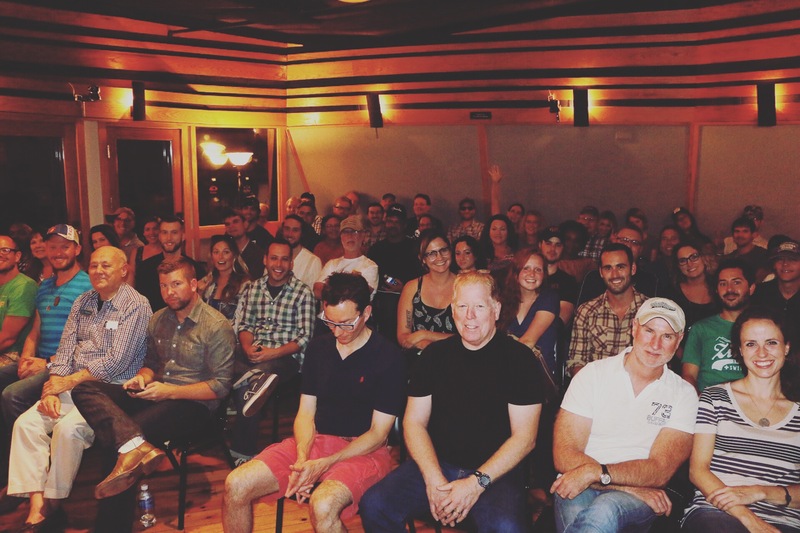 This past weekend, NSAI hosted Advanced Song Camp 2015. All we can say is, “Wow!” Both the campers and faculty were top notch and everyone made it a weekend we will never forget. Campers learned from some of the best in the business, including: Travis Meadows, Jim McCormick, Brent Baxter and Liz Hengber…just to name a few. Thank you to all the faculty and publishers who spent their weekend with us. You inspired the campers in ways we cannot even express. Thank you to all the campers for being so receptive to all the information the faculty generously shared with you. 1 MONTH LEFT TO ENTER! We are 1 MONTH from the last entry day for the NSAI Song Contest presented by CMT! From now until October 31st, send us your best songs for your chance to win $5,000 CASH, a mentoring session and more! Read below for the prize details and how to enter. Today's ‪#‎FeatureFriday‬ goes out to NSAI Member, Felix McTeigue, who's Florida Georgia Line cut, "Anything Goes," received the RIAA Gold status in September and reached topped 5 last week! Congratulations on your success Felix and hope to see you around the Nashville soon! Sunday, October 11, the Nashville Songwriters Foundation inducted Rosanne Cash, Mark James, Even Stevens and Craig Wiseman into the Class of 2015. In addition, NSAI awarded Song of the Year, Songwriter/Artist of the Year, Song of the Year along and the Ten Songs I Wish I'd Written.